Black and white portrait of five men, two seated and three standing. Three of the men wear brightly patterned polyester shirts while the remaining two wear leisure suits. Four of the men's hair touches their collars in back. 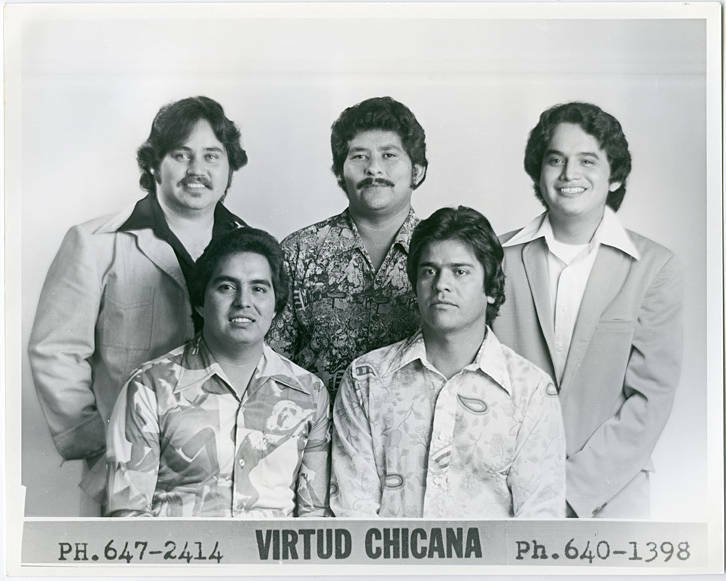 Printed on the bottom of the image are two phone numbers and the name 'Virtud Chicana.' According to museum records, they were a local band.